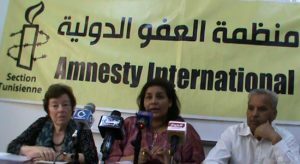 The reforms launched in Tunisia are threatened by the use by the security forces of brutal tactics of the past, including torture, arbitrary arrests, detentions and restrictions on travel of suspects as well as harassment of their family members, says Amnesty International in its latest report. In response to a series of armed attacks, which shook the country since March 2015, authorities have stepped up security measures, increasingly relying on emergency laws, many of which are inconsistent with human rights obligations. 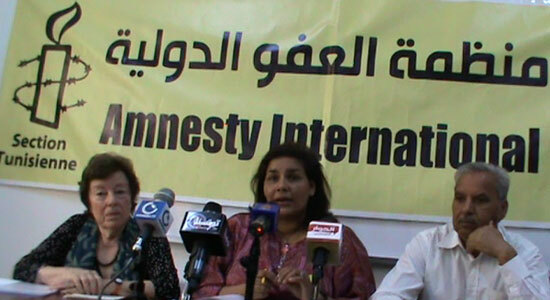 “We want an end to the fear: Abuses under Tunisia’s state of emergency details how the security forces have imposed these measures in an arbitrary, repressive and discriminatory manner“, says Heba Morayef, North Africa research director at Amnesty International. “These abuses risk jeopardizing gains made over the past six years, which have seen Tunisians enjoy greater freedoms of expression, assembly and association, rights that are enshrined in the 2014 Constitution”, said AI North Africa research director. The report details the impact of emergency measures on the everyday lives of those subjected to them, and includes cases of torture, arbitrary arrests and detention, house searches without warrants, arbitrary assigned residence orders and travel restrictions known as S17 orders. It shows how in some cases these measures are imposed in a discriminatory manner based on appearance, religious beliefs or previous criminal convictions, in disregard of due process of law. Written by: Peter Mulvany on February 13, 2017. Posted by Peter Mulvany on Feb 13 2017. Filed under Headlines, World News. You can follow any responses to this entry through the RSS 2.0. Both comments and pings are currently closed.